On March 7th, five BSGE students from the Middle School Math Club participated in the Queens MoMathalon for the second time. The last time BSGE participated in this competition was in 2012, during which BSGE earned 5th place for group competition. BSGE did not compete in last year’s competition due to lack of preparation. However, this year, the BSGE Middle School Math Club has met every Thursday after eighth period. 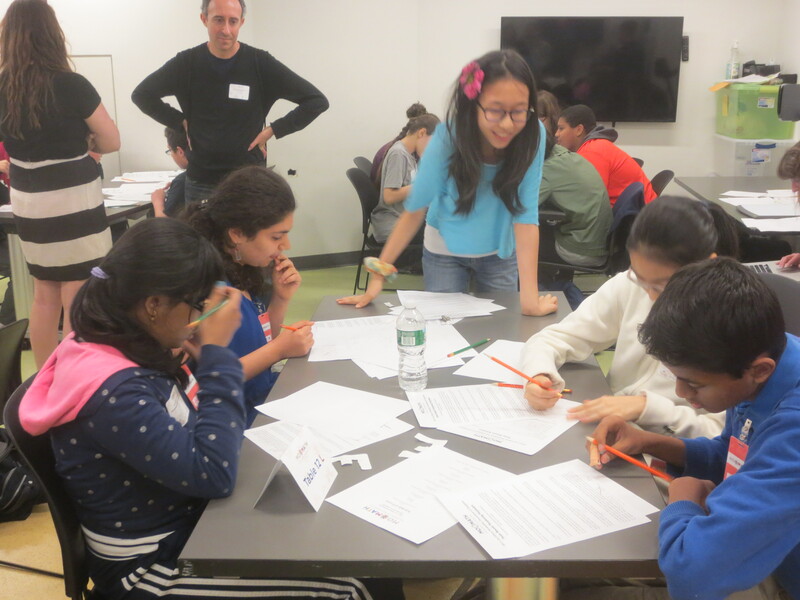 To decide who would be chosen to compete at the Queens MoMathalon, the Club organized small Math Olympiad competitions along with the AMC-8 and NYS Math League competitions during meetings. Based on students’ scores, five Math Club members were chosen to compete at Queens College for the MoMathalon. 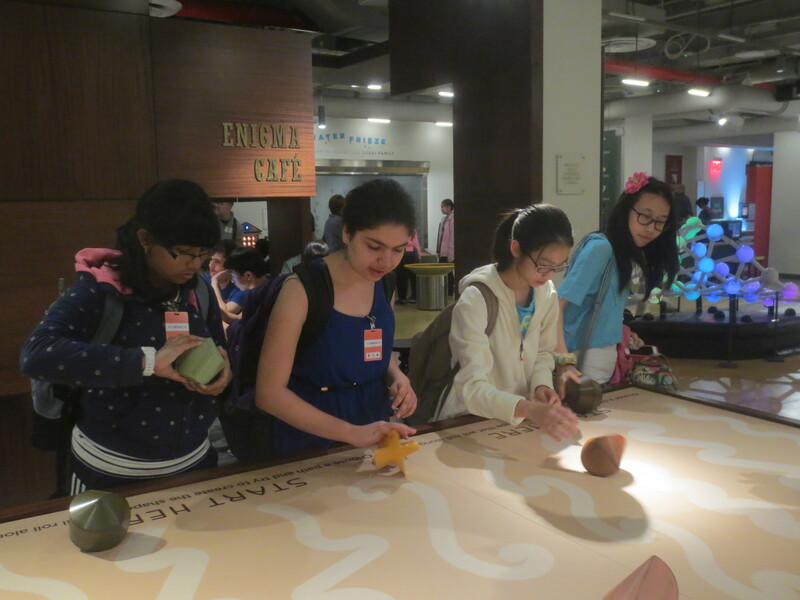 The five competitors were two seventh graders, Annie Zhang and Grace Choi , and three eighth graders, Arpita Nag, Nibras Islam and Alice Aronov. In the first competition of the MoMathalon, only two Queens schools entered: Russell Sage and BSGE. In this competition the teams participated in a group round, an individual round and a mix-up round. The mix up round asked students from different schools to compete together as a team in order to earn points their individual schools. The competitions were conducted on iPads and every session was followed by an explanation of the answers of the questions. After individual scores were counted a tie breaker round commenced. BSGE ranked third in the group competition and BSGE’s two seventh graders, Annie and Grace, were awarded for being the top five seventh graders for the individual competition. 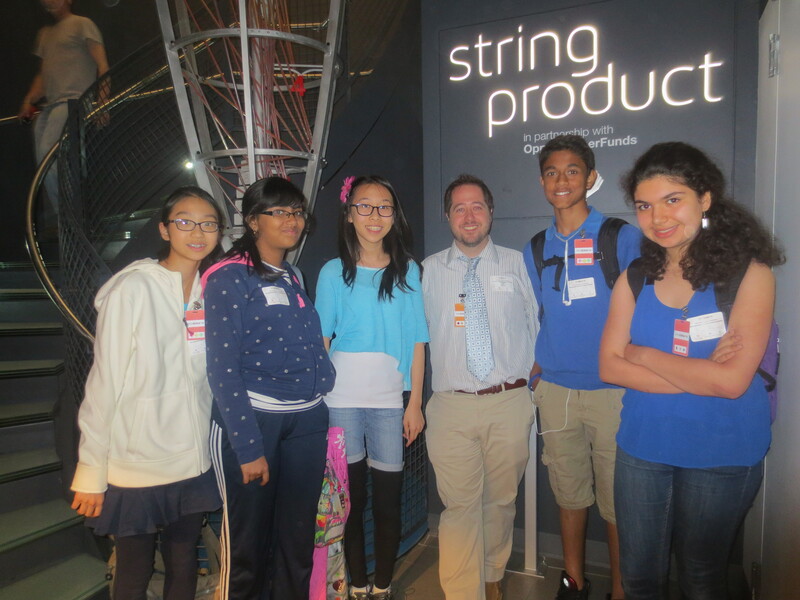 Because BSGE consisted of the top two schools competing in the Queens Competition (Russell Sage coming in first and second) the competitors were invited to the MoMath Museum in Manhattan to compete against schools from Long Island and Weschester. Taking the N train after 5th period, BSGE’s team and middle school math teacher, Mr. Mehan, went to the Manhattan Museum overlooking Madison Square Park. Seeing that they had come early for the 2:00 competition, a quick look around the museum was taken. The Museum of Mathematics contains many exhibitions that give a broadened understanding of mathematical concepts. At the entrance there is a rounded track and two bicycles with square wheels. Mr. Mehan eagerly explained how the relationship between the radius and the length of a side of the wheel allows the bicycles to move. The museum also had exhibitions on tessellations, such as a scene that tessellates the body it films, probability (which was shown in a pyramid of pegs with balls falling down it with the odds of a certain outcome changing with the position of each peg), and an interesting 3D model of a parabola. The Museum competition was very similar to the Queens competition in format but the questions were more difficult. Once again working with the individual, group and mix-up round, competitors worked with problems grouped into certain subjects such as addition, polyhedra, circles and permutations. A relay round was also played in which each answer depended on the correctness of the answer before it. Although BSGE was ranked 8th in the competition, the overall experience was fun and educational for the competitors.